Five new fully customizable, dual-function Intelligent Function keys provide instant access to 10 frequently used commands. SpacePilot™ PRO recognizes the active application and work environment and automatically assigns the appropriate commands. The color LCD provides visual feedback on function key assignment ensuring an optimized workflow. 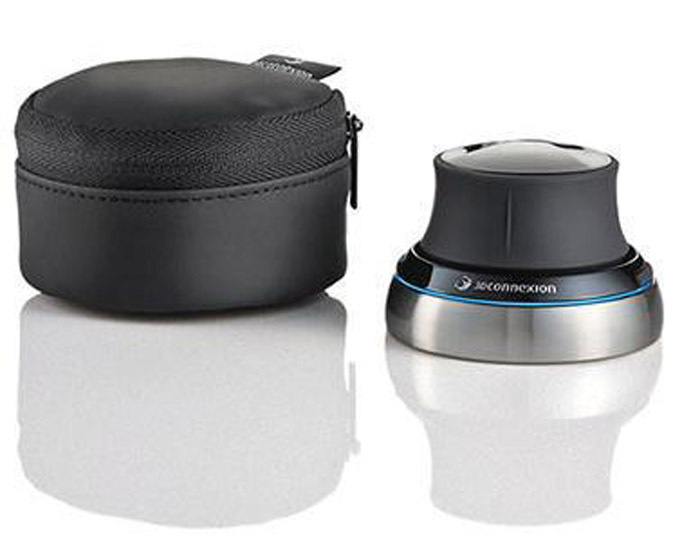 SpacePilot™ PROfeatures the most advanced six-degrees-of- freedom (6DoF) sen sor technology. 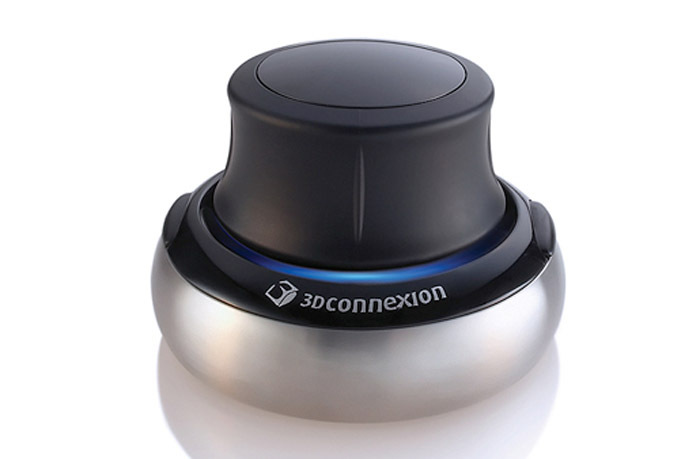 Gently push, pull, twist or tilt the compact controller cap to smoothly pan, zoom and rotate 3D models. It’s like reaching into the screen and holding the model in your hand. 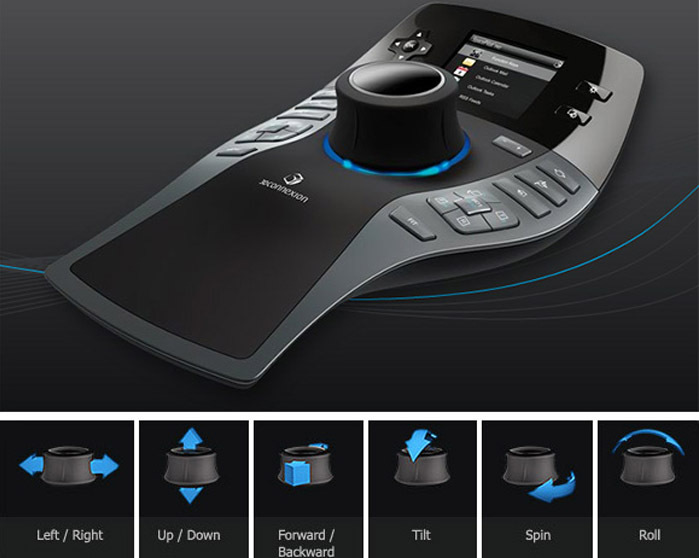 The second generation QuickView Navigation Keys provide fingertip access to 32 standard views giving an unparalleled level of control that encourages model exploration leading to improved error detection and design quality. 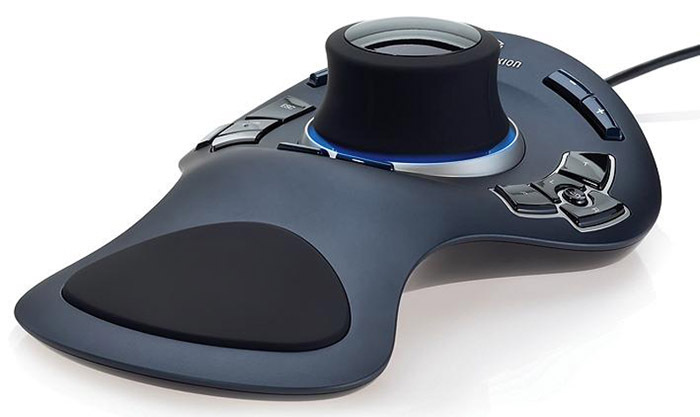 The soft coated, sculpted wrist rest positions the hand perfectly while the compact controller cap guides your fingers into the ideal position for precise and effortless control. 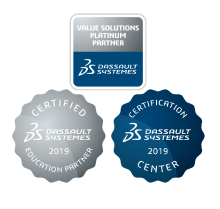 The most frequently used function keys are conveniently positioned, ensuring a comfortable working experience, even for the longest design sessions.